During mid-autumn weather modelers called for a heavy winter but eventually this turned not to be the case at least at present. 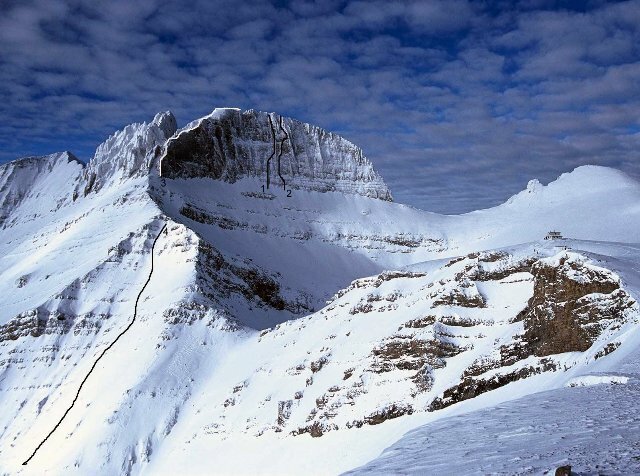 However the late fall and early winter snowfalls were contemplated by a significant post Christmas fall of snow on the upper mountain (above 1700m) making things favorable for all sorts of winter action. 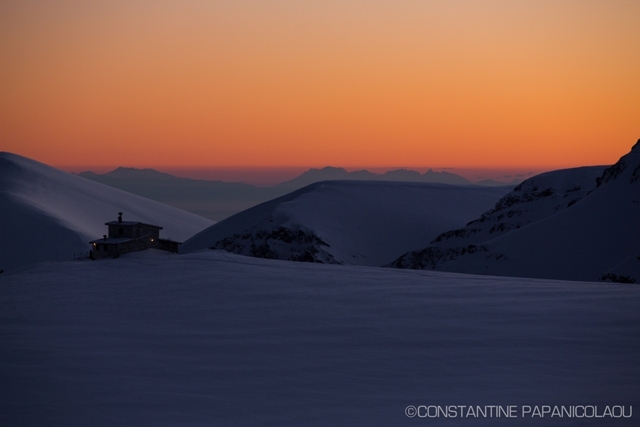 After the typical refuge defreeze New Years day witnessed the first ascents of the Greece's highest point, the summit of Mytikas (2918m), soon followed by the fourth repetition of the Schwab-Aglliardi route  on Stefani (M4/M4+, 200m), the east ridge  of Stefani (IV, 300m) and from a new route  just right of Stefani Central Pillar (up to M5). 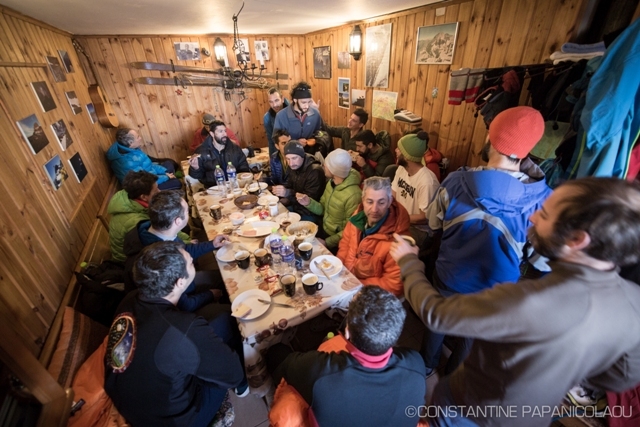 More people climbed to Mytikas and Stefani (2909m) during the following days, while fellow skier and ski movie producer Constantine Papanikolaou, aka CP (https://www.facebook.com/Constantine.Papanicolaou) skied a 700meter line  starting from the triangular face just below Stefani marking the beginning of a good and promising winter, no matter what forecasters say. 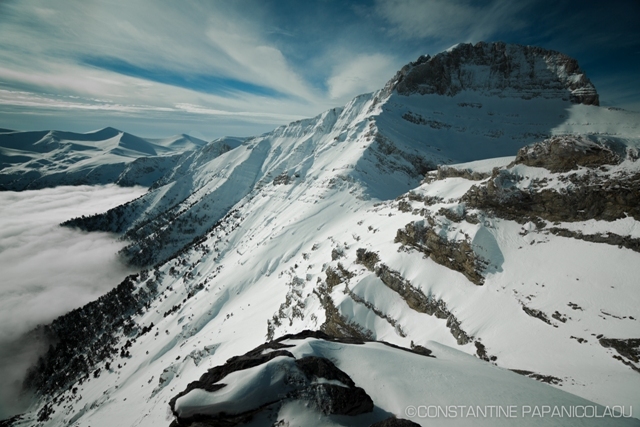 In addition to mountaineering, climbing and skiing action that dominated the scene around the Plateau of Muses during the holidays, filming action from CP's camera that was constantly recording was also evident as he is currently working on a documentary movie about his experience of coming to Greece, exploring the Greek mountains, learning more about the country and his roots. 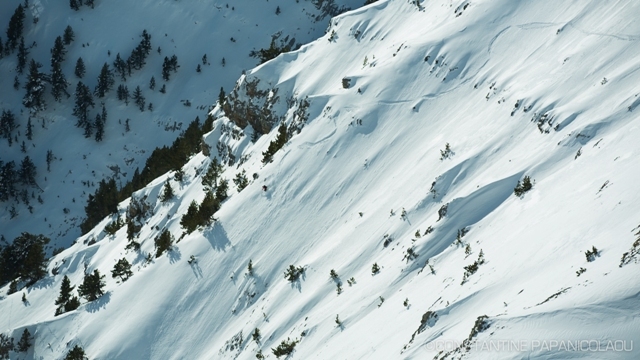 Frozen images from his camera were kindly donated in order to reflect the activity of "haute" Mount Olympus as 2014 kicked in.